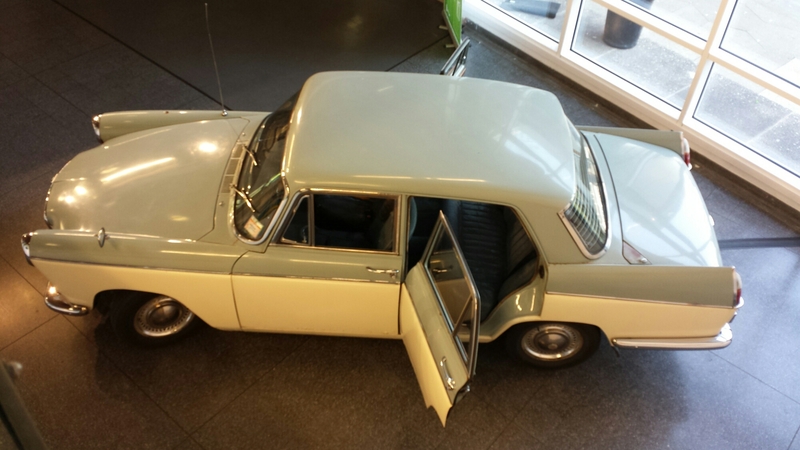 In the foyer outside the cafe at University of Brighton (Grand Parade site) is a car. It’s rear doors are open, inviting you to clamber inside and sit on the old leather seat. 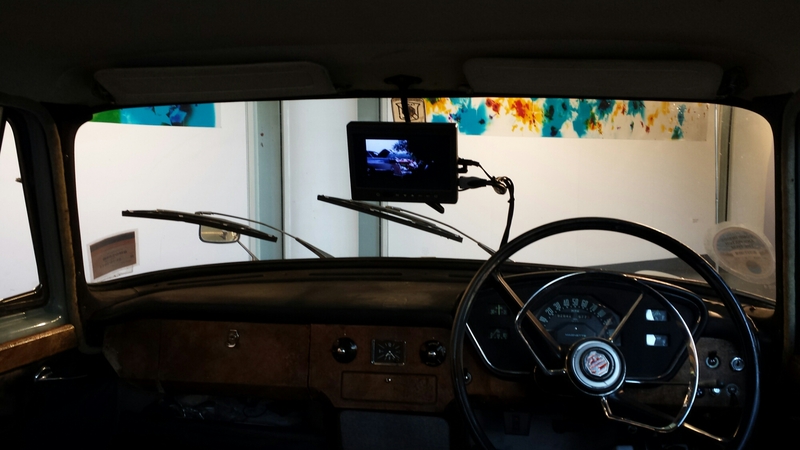 As photos of this car scroll across the small screen in the place where the rear view mirror normally is, you can let the old car smell accompany your mind to the car’s past. It’s a vivid way of allowing an object’s past to present itself. The MA Photography show ends on Friday 19 September 2014.